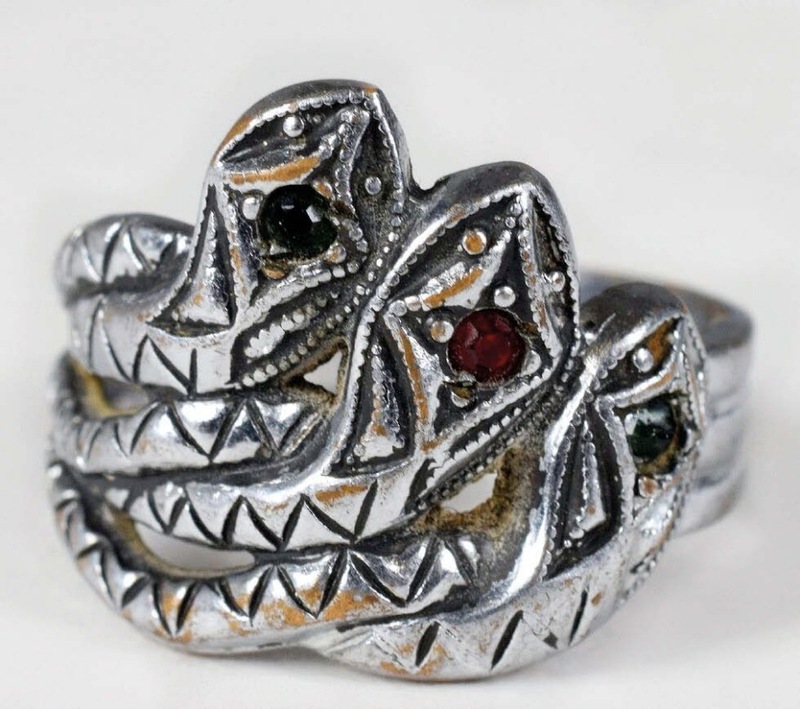 Clyde made this three-headed snake ring for Bonnie while he was in prison. It is one of the highlights at RR Auctions' sale on June 22 and is estimated at $40,000. On June 22, RR Auctions in Boston will host a sale titled Gangsters, Outlaws and Lawmen featuring Bonnie and Clyde and including a large selection of memorabilia relating to the infamous criminal couple. Clyde was also a keen craftsman, and while in prison in Texas he engaged in jewellerymaking, leathercraft and woodworking. A highlight of this sale is a three-headed snake ring he crafted for Bonnie during that time, which features his personal hallmark of a musical note struck by an arrow. Playing music was another of his favourite hobbies and he was famously carrying his alto saxophone when he was killed. The arrow in his maker’s mark may be that of cupid, symbolising his love for Bonnie. The ring was recovered from the outlaw’s bullet-riddled car by Sheriff Smoot Schimd after the ‘Sowers Raid’ on November 22, 1933, and is estimated at $40,000. Other items in the sale include Bonnie Parker’s glasses which were retrieved when her body was removed from the car after she and Clyde were ambushed and killed in Louisiana on May 23, 1934 (estimate $50,000), and the original State of Texas warrants for their arrest (estimate $10,000).